Dry usually sandy ground, ranging from prairies and open barrens or clearings to savannas of oak, jack pine, and/or aspen. 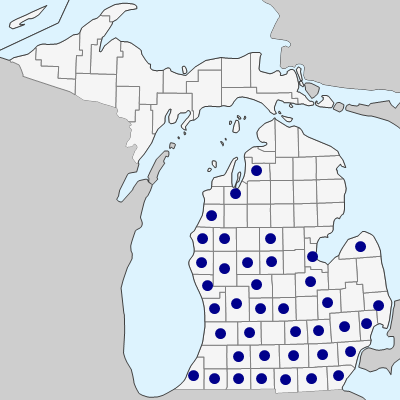 Quite variable in regard to pubescence on stems and petioles; the most hirsute extreme (tending to be more western in range and well represented in Michigan) has been named var. occidentalis S. Watson. The flowers occasionally exhibit assorted combinations of blue, purple, pink, and white, including entirely white corollas. MICHIGAN FLORA ONLINE. A. A. Reznicek, E. G. Voss, & B. S. Walters. February 2011. University of Michigan. Web. 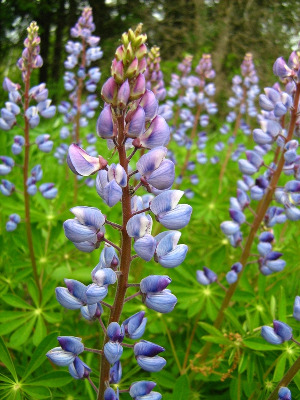 April 18, 2019. https://michiganflora.net/species.aspx?id=1327.